When it comes to St.Patrick's Day food, many people opt for traditional Irish fare, but a simple way to celebrate is to go with a green and rainbow coloured theme. 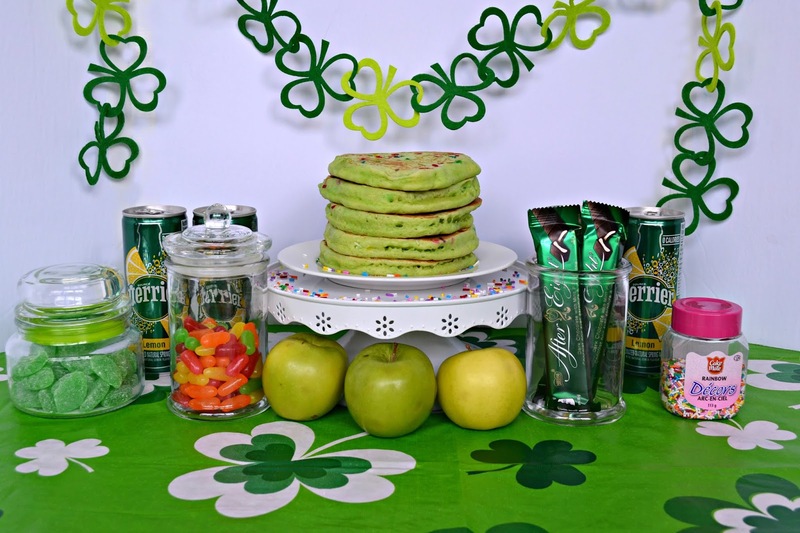 How fun is this simple St.Patrick's Day buffet featuring green pancakes with rainbow sprinkles? 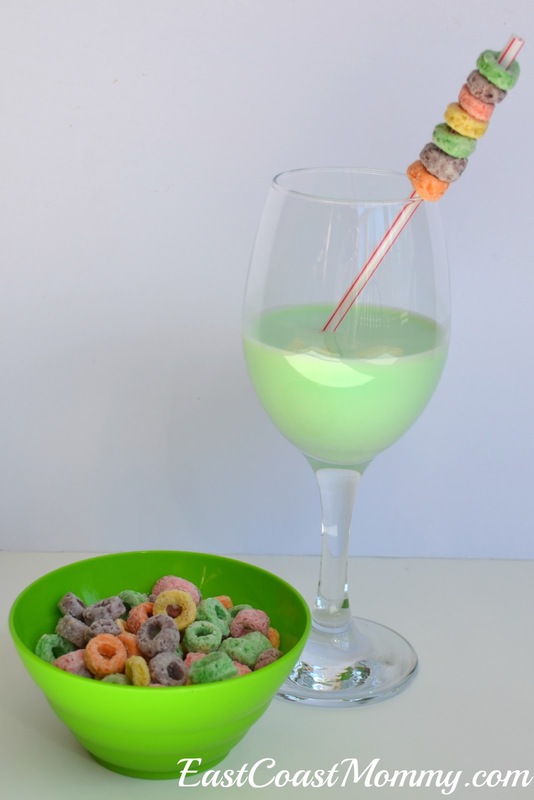 Green milk in a wine glass with a rainbow straw (plastic straw covered with Froot Loops) is also fun! 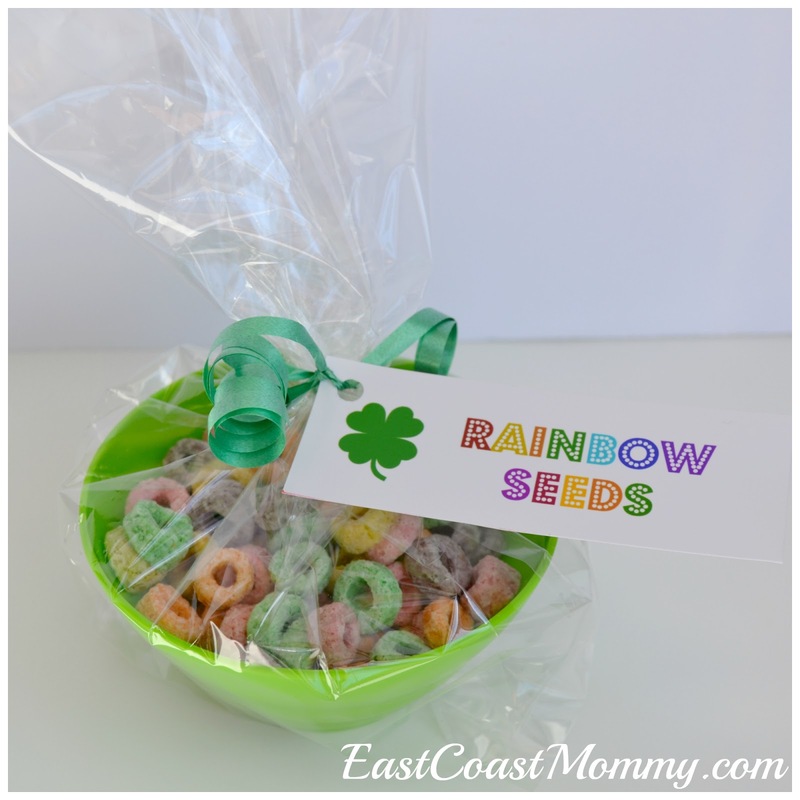 Froot Loops also become "rainbow seeds" when you add the free printable tag you can find here. 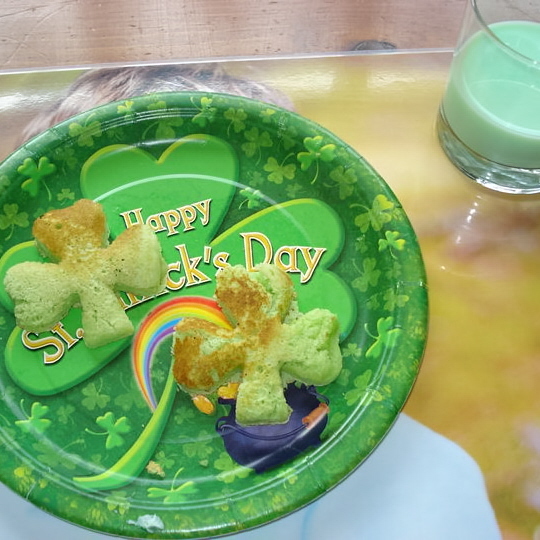 And, if you have a Shamrock-shaped cookie cutter, you can easily cook up these adorable Shamrock pancakes. Cute, right? 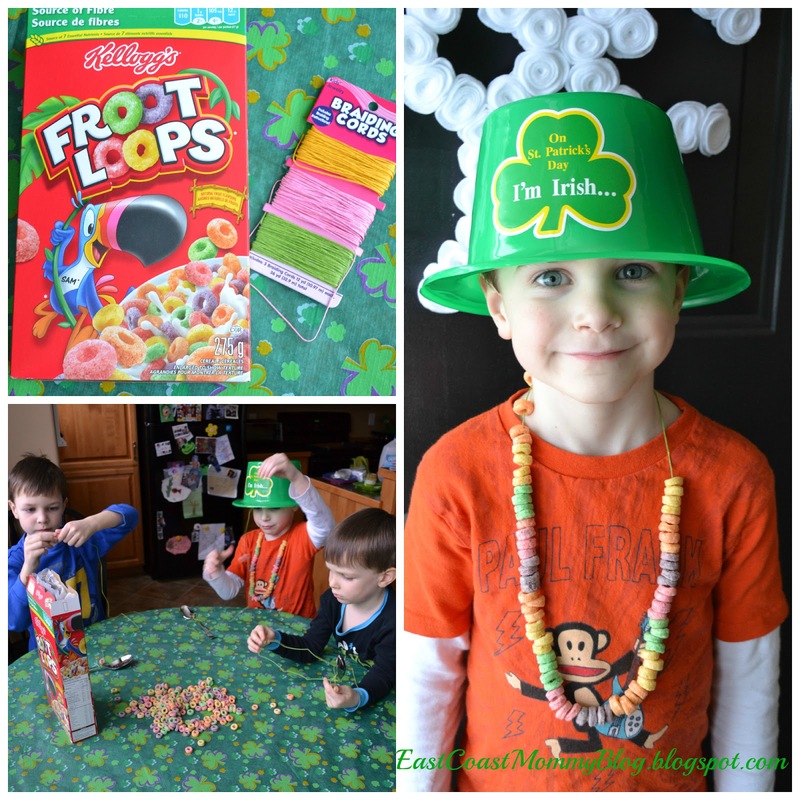 And finally, extra Froot Loops can be used to make rainbow necklaces for dessert. 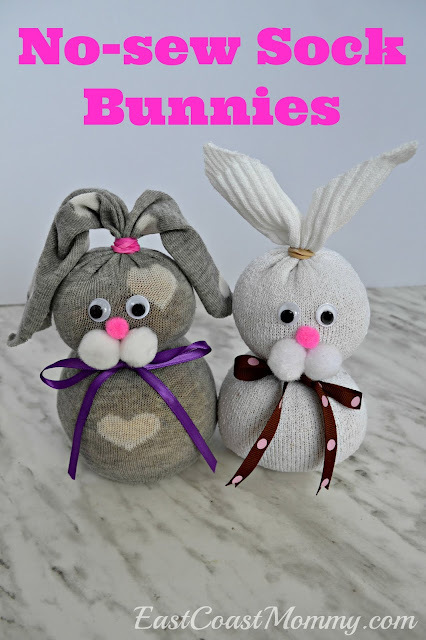 It's a fun and festive craft for kids of all ages! What are you serving your family on St.Patrick's Day? I think I'll set up a green buffet. It's an easy and inexpensive way to celebrate March 17th!